Workarounds and employee morale: can you afford not to invest in new systems? Can you afford not to invest in new systems? There are many reasons for team members to leave an organisation, but outdated complaint handling systems should never be one of them. Here’s why you need to eliminate workarounds to improve employee retention. Do you know how much it costs your company to replace a team member that leaves? The answer might astonish you. While it’s difficult to calculate the loss, replacing an employee can cost you up to 150 per cent of their salary and benefits. It sounds a lot, doesn’t it? But you have to factor in all of the time and resources that will go into finding and training a new person. Then there’s the loss of productivity as the newbie works to reach the same level as the employee they replaced. The financial cost of losing a team member alone is incentive enough for businesses to improve employee retention. However, the average turnover of staff in companies across the UK stands at 15 per cent. If you’re losing roughly a seventh of your workforce each year, the total cost of replacing those who left will quickly add up. Of course, money isn’t everything. When it comes to employee turnover, there’s also the cultural impact of losing a colleague (and maybe a friend). This is especially damaging if you continually have a number of people leaving your organisation for pastures new. In effect, this becomes its own self-fulfilling prophecy. People see others leave, increasing their desire to do so as well. The real problem for your complaints handling teams, however, is the negative effect all of this churn has on the customer experience. A lack of stability in your workforce leads to a lack of consistency in your service delivery. If you’re constantly bringing new people up to speed, how much time is actually spent working with customers at the level you require? As well as losing team members, your company could quickly find itself losing customers whose expectations are far from being met. That’s the true cost of high employee turnover – a decreasing level of customer experience followed by a decreasing number of customers. With so much potential damage caused by the high turnover of your teams, it makes sense to do whatever you can to keep them on board. After all, your people are a vital part of your customer experience; and your customer experience is a critical part of complaints handling. There are a wide range of reasons why people leave their jobs – from salary expectations to the desire for a new challenge. You can’t always fix these issues, but there’s definitely one growing problem causing employees to rethink the suitability of their roles that you can put right: workarounds. Workarounds are processes created to plug gaps in systems and software, and the chances are you have more than a few in your workplace without knowing it. They’re actually quite easy to spot when you know where to look. A spreadsheet used to hold data you can’t enter elsewhere – that’s a workaround. A paper-based process for keeping track of information – that’s another workaround. You might wonder what the big deal is and argue that you need these workarounds; that they’re actually an important part of your working day. However, what you probably don’t see is that they’re also making your people think twice about sticking around. Beyond the statistics, respondents are quite clear in how they view workarounds in their companies. They cite the extra time it takes to get anything done, the errors that manual data entry create, and the fact that workarounds make training new people so much more difficult. It all adds up to a bleak picture of dissatisfaction among complaint handling teams who are well aware they could be more productive with the right tools in place. The big question is how do you prevent the use of workarounds in your business, win your people over and enhance your customer experience? The answer is clear: eliminate workarounds by implementing a system that covers all your bases and integrates all your processes. With one system keeping track of all the information you need from start to finish, your people will no longer become frustrated by duplication of work or having to deal with unnecessary errors. Their jobs will become much easier, and they’ll be happier for it – improving their productivity at the same time. 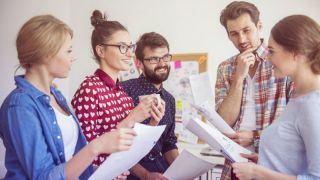 By removing workarounds from your business, you not only deal with an issue that contributes to high employee turnover, you also create a more positive workplace all round. This prevents you having to fork out on the cost of replacing people and helps you complete your core mission – providing your customers with the best possible experience.